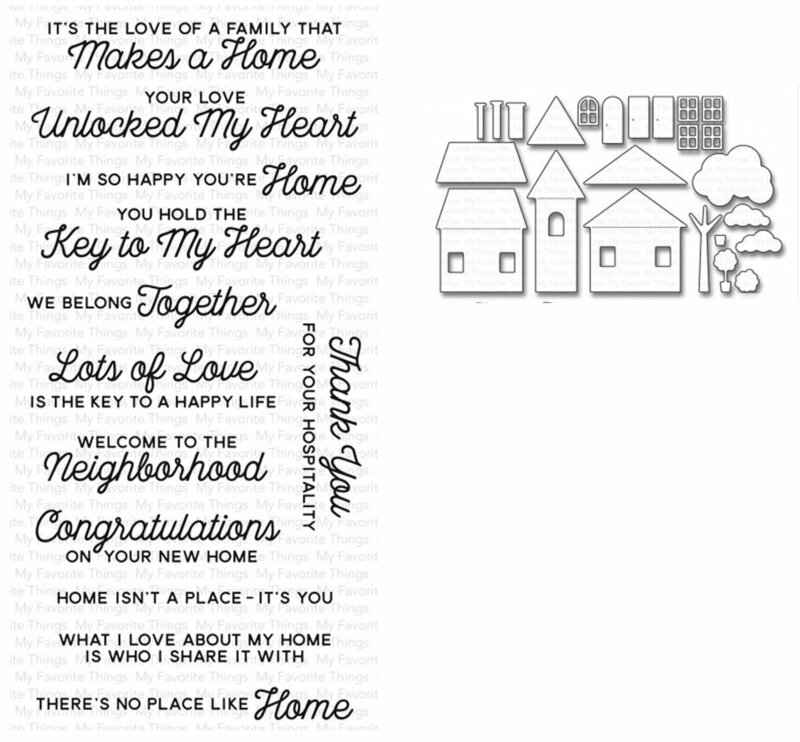 The delightful No Place Like Home stamp set featuring twelve sentiments in fresh fonts that allow you to create cards for those you love, neighbors, new home owners, homecomings, and those who’ve shared the gift of hospitality. This 12 piece set includes sentiments ranging in size from 3” x 1/8” (Home Isn’t a Place…) to 3 5/8” x 5/8" (Your Love Unlocked My Heart). MFT Die-namics dies are our very own EXCLUSIVE, American made line of steel dies. Die-namics dies work with most tabletop die cutting machines such as the Big Shot & Cuttlebug.